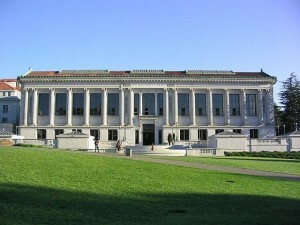 The University of California, Berkeley is a public research university located in Berkeley, California. The University of California is also commonly referred to as U C Berkeley. The school was first established in 1868. It provides both classical and practical education for students looking to broaden and reach their educational goals. The university occupies over 1,200 acres on the East side of the San Francisco Bay. The central campus resides on 178 acres, making it the hub of the school. Berkeley offers approximately 350 undergraduate and graduate degree programs in a wide range of disciplines. The University of California has many different programs available to students and is ranked among the best in the country. University of California Berkeley is a highly sought-after educational facility. In 2012, U C Berkeley received 61.695 applications for admission to the undergraduate program of which 13,037 were accepted. 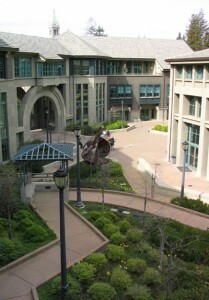 U C Berkeley’s undergraduate programs include Engineering, Business. The school offers a wide variety of graduate programs including Chemistry, Computer Science, Engineering, Earth Sciences, Physics, Civil Engineering, Communications and Mathematics. 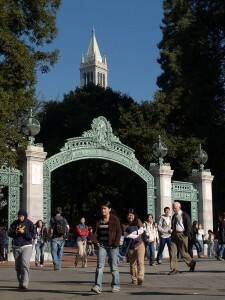 The University of California Berkeley also has many doctoral programs which have received very high rankings including Agriculture, Computer Science, Mathematics, Mechanical Engineering, Political Science and Biochemistry. In 2012, U C Berkeley received 61.695 applications for admission to the undergraduate program of which 13,037 were accepted. Students and prospective students of UC Berkeley are eligible for a variety of public and private financial aid. Although tuition figures are subject to change, in the 2012-2012 academic year tuition for undergraduate and graduate students was approximately $5600. There are also other fees which students must consider including books, lab fees, and health insurance. The University of California Berkeley campus encompasses over 1,000 acres. There are many facilities located on the main campus including; the Lawrence Hall of Science, the Space Sciences Laboratory, the Mathematical Sciences Research Institute and the University of California Botanical Garden. There are a variety of housing units available to students during their time at UC Berkley which can cater to their own personal preferences. The University guarantees student housing for their first two years of education and one year for entering transfer students. The housing options available at UC Berkeley include; women’s only living, family living, cooperative housing and apartment style. UC Berkeley also developed the Climate Action Plan in 2009 with hopes of developing a sustainable campus. This pledge is intended to reduce greenhouse gas emissions on campus by one-third and eventually achieve climate neutrality. 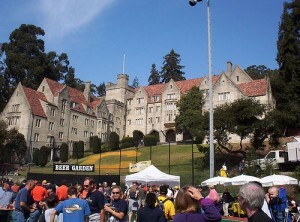 The University of California Berkeley has wide variety of student groups and organizations to participate in. The Associated Students of the University of California (ASUC) is the student government organization that controls funding for student groups and on-campus student events. Student Union Program, Entertainment, and Recreation Board (SUPERB) was founded in 1964. It is a student-run and non-profit. The sole purpose of the organization is to create entertainment for those on campus and in the local community. U C Berkeley also has a wide range of communications functions for students to participate in. The student-run online television station (CalTV) was founded in 2005 and broadcasts online. There is also The Daily Californian, which has been the student-run newspaper since 1871. Berkeley’s FM Student radio station, KALX, is run largely by student volunteers. The University of California offers a wide variety of sports programs and clubs in order to provide a more balanced social life for students. 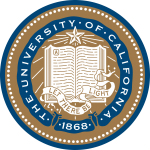 The official colors of the University of California are Yale Blue and California Gold. The school’s mascot is the spirited and animated Oski the Bear who first debuted in 1941. The school’s athletic teams are referred to as the California Golden Bears and are members of both the Pacific-12 Conference and the Mountain Pacific Sports Federation in the NCAA. The University of California Marching Band was developed in 1891. It performs at every single home football game, rain or shine. The University of California athletes have won many national titles including football, swimming, basketball, baseball, gymnastics, softball, rugby and water polo. There are many famous alumni who accredit the University of California Berkeley with much of their success. Many alumni have gone on to write novels and screenplays including Mona Simpson who wrote the novel Anywhere But Here and Randi Mayen Singer wrote the screenplay for the popular comedy Mrs. Doubtfire. Many alumni have also contributed to science including Nobel Laureate Willard Libby and Andrew Fire. Many technology companies have been founded by undergraduates including Apple Computer, Intel, MySpace and Google Voice. Alumni from the University of California have also made a lot of notable contributions to arts and entertainment, with notable graduates including Gregory Peck, Christine Chen and Andrew Schneider.